We’re launching a new project at school that will require creating and testing cocktail recipes. Yes, my job is awesome. For some reason, we decided to start with a cocktail about which many professionals don’t see eye to eye. We can all agree it’s appetite-whetting, simple to make and storied, but that’s where it ends. 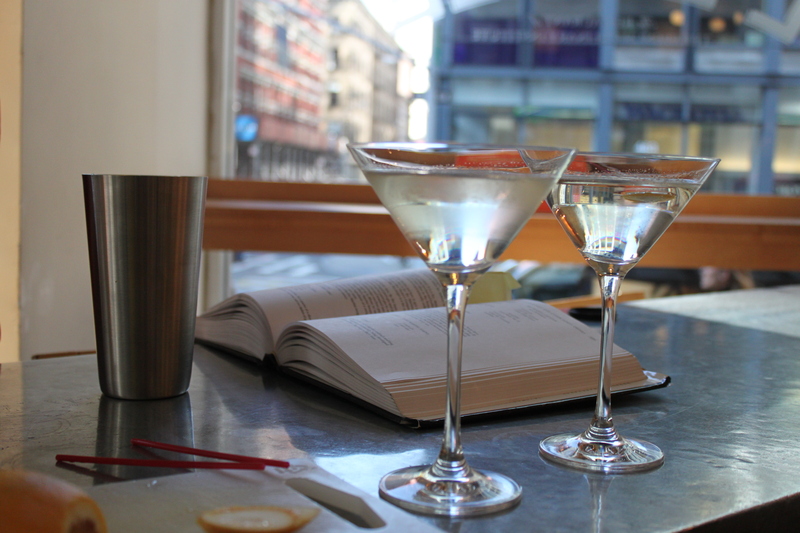 I touched on the history of the martini briefly in this post. We decided to test two recipes, using three different gins each. Unsurprisingly, these are boozy cocktails. The ratio you go with probably depends on how much you like gin. Across all recipes we used Dolin Dry, one dash of Regan’s Orange bitters, and in honor of the orange bitters, a non-squeezed orange peel as garnish. All drinks were stirred. 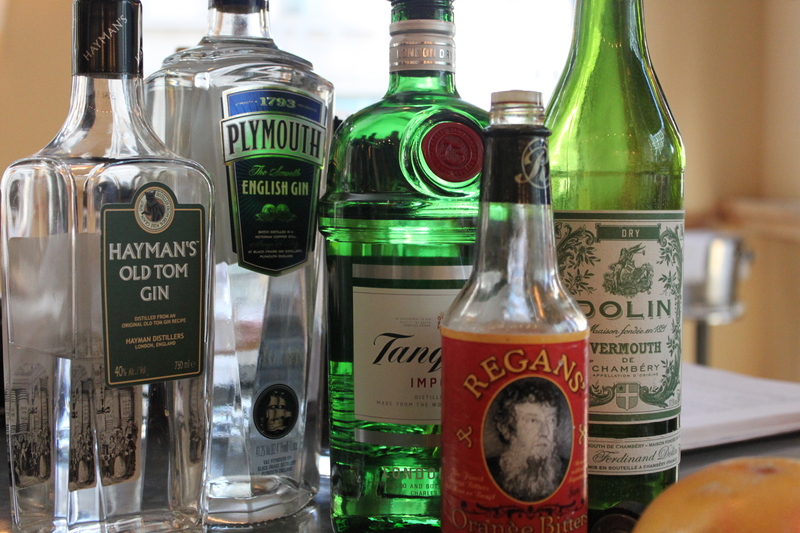 For both rounds, we sampled three different gins: Tanqueray, Plymouth and Hayman’s Old Tom. First up was equal parts gin and vermouth – 1 1/2 oz. each. The winner was Tanqueray; well-balanced and you could taste the gin (we like gin here). Second time around we went 2:1 – 2 oz. gin to 1 oz. vermouth. Prior to stirring round two, we anticipated that we would like the equal parts cocktails better. We were wrong. The winner was again Tanqueray, and it was an even better martini with this ratio. Rich, bold, satisfying, invigorating. Made you want a big, fat steak, followed by a nap. Too bad it was 11 am in the middle of the work week and we are aren’t characters on Mad Men. 2 oz Martin Miller, squeeze and twist of lime. I love Plymouth, but have only made disappointing martinis with it. Like Old Raj, I think it best unmixed, over ice. Your use of Hayman’s belies your comment about preferring your martinis very dry. I agree that Plymouth is best on its own, lest its flavor gets lost. …well, I said “generally.” I was using the Hayman’s to try to recreate something like a 1920s martini, which, in the tangled and unreliable lore of historical mixology I had run across suggested a gin:vermouth ratio of 2:1 to 4:1 . I couldn’t go past 3:1 without losing a good deal of the taste of the gin.